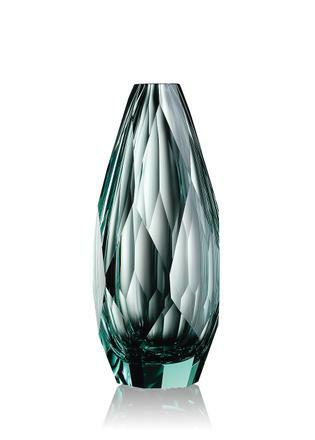 Moser was always destined to be the world’s most luxurious crystal manufacturer. Shortly after founder Ludwig Moser opened his first glassworks in the Czech spa town of Karlovy Vary in 1857, he was called upon to provide tableware and decorations for the court of Franz Josef I, later supplying Shah Musaffereddin of Persia and King Edward VII of England with their glassware, too. Since then, it has gone on to supply exquisite crystal to countless other monarchs and world leaders, not to mention discerning private owners, leading to Moser becoming known as “the glass of Kings”. What these customers all clearly recognised and appreciated in Moser was the precise craftsmanship of its crystal, with each piece hand blown, hand polished and hand cut by talented artisans. The secrets of Moser’s success have been passed on from generation to generation, with the same traditional techniques first used more than 100 years ago still being practised today. Indeed, the level of intricacy and attention to detail involved in crafting each individual piece has led to Moser being part of the prestigious Comité Colbert, which protects the traditional manual production of luxury products. 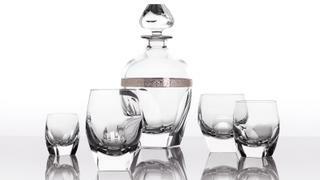 Moser is one of the world’s most prominent lead-free luxury crystal glassmakers. 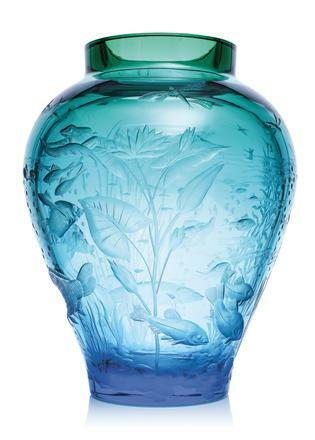 The benefits of using such glass, which is notoriously difficult to work with, are numerous; not only is it known for its high lustre, sparkle and hardness, which makes it easier to engrave and cut, but it also shows off the colours more distinctively. For this reason, artists have always clamoured to work with Moser crystal, and the company has even opened its own art gallery in Prague to celebrate this esteemed heritage. The highly guarded technique for layering different hues of glass to create beautiful optical effects is a key theme for the 2018 collection, dubbed “The Story of Colours”. The method that has been passed on from glassmaker to glassmaker for the past 115 years, ever since Ludwig’s son Leo patented the technique, and it has become the brand’s signature, setting it apart from any competitors. Prominent Czech designers including Lukáš Jabůrek, Jan Čtvrtník, Boda Horák, Lukáš Houdek and Jakub Balhar worked alongside Czech student recipients of the esteemed Ludwig Moser Award to create the collection, which includes tumblers, wine glasses, champagne flutes, decanters and vases in shades inspired by semi-precious stones. Stand-out pieces from the new collection include the Polygon vase designed by Jan Čtvrtník, which combines flat surfaces with rounded edges to create a truly unique effect. Lukáš Jabůrek similarly plays with shape and texture in his Pear vase design, which balls out at the base just like the fruit it is named after, while the in-house team’s Purity line is more traditional in its use of pleated glass for tumblers. These modern graphic designs, which look more like pieces of art than tableware, allow the different colours of the glass to shine through, creating dazzling effects. Other key pieces for yacht owners include the Cubism set, which features seven glass tumblers with graphic edges, each in a different shade, from the blue-green tinted Beryl, inspired by lagoons and foaming waves, to the Alexandrite, a light violet colour that changes under different light. Another is the softer Culbuto collection, which has a more classic rounded shape, utilising the heavier base to really show off the vivid colours of the glass. For someone looking for something a little more traditional, there are the classic collections, including the Bar Set and the Pope Set, which use clear glass and simple detailing.